If you are afraid to eat fat then you, like many Americans, have been sucked into the widely held, erroneous idea that all fat is bad and eating low-fat is good. Our brain (60% fat) needs certain kinds of fats to work well. Healthy fat is brain candy. Your brain will reward you and you’ll have better moods if you get this right. Nora Gedgaudas, author, Primal Body, Primal Mind explains that the brain uses at least 20 – 30% of our body’s energy supply. A high fat (ketogenic) diet has long been used to effectively treat epilepsy. Butter and cheese from grass-fed cows have a nutrient (K2) that promotes brain health, protects us from heart disease, and reduces the risk of prostate cancer 35% (Kresser). We have been told that grains are good and fat is bad. “please remember,fat+sugar = kiss your pancreas good-bye. The American Heart Association has been dishing up poor advice when it comes to advising Americans how to eat for a healthy heart. I had to update my blog post. Originally they were offering recipes that had trans-fat ingredients in them and supporting many Big Food companies via the Heart Check Grocery Shopping List. Taking a step in the right direction, but missing the mark still. Ingredients: Low Fat Pineapple Yogurt, Low Fat Granola, Confectioners Sugar (oh, and fruit). The ingredients support the processed food industry and bring in a lot of carbohydrates (sugar!). Packaged Fat Free Pineapple Yogurt. Yoplait offers that yogurt with Pasteurized Reduced Fat Milk, Sugar, Pineapple, and GMO Corn Starch, and enough carbs to turn into 8 tsp of sugar per container. Low Fat Granola, like Kellogg’s. “Low Fat” is code for HIGH SUGAR. 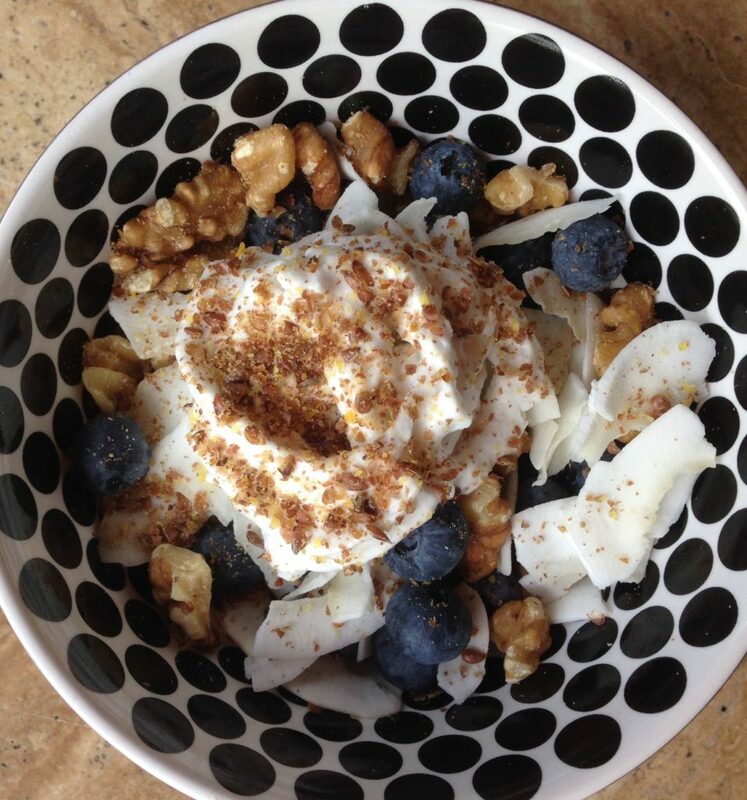 A cup of this low fat granola has enough carbohydrate to dump 17 tsp of sugar into your blood stream. The questionable ingredients include, Sugar, GMO Corn Syrup, GMO Modified Corn Starch, MSG Artificial Flavor, Preservative BHT. Confectioners Sugar. Why add sugar!? There is plenty of sweetness from the berries and banana (not to mention the sugar in the granola and Fat Free Pineapple Yogurt). 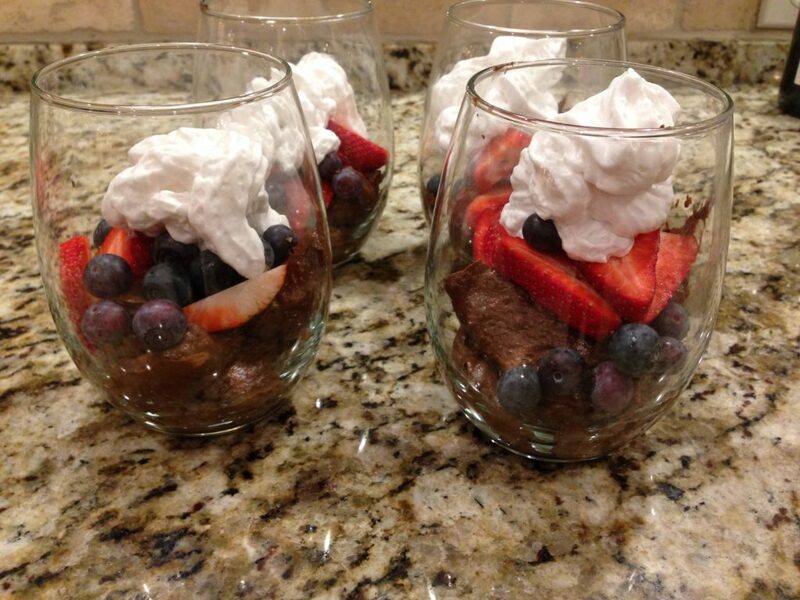 Total Carbohydrates per serving in this Parfait, 34 grams or 8.5 tsp sugar. I have a better idea for breakfast that won’t spike your blood sugar and bring in artificial ingredients. Heart Check Mark products, certified by the AHA as heart healthy includes processed foods (like canned soups, breads, cereal). 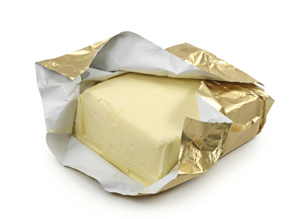 AHA demonizes natural fats like butter and coconut oil that have been consumed traditionally for thousands of years. The AHA says use margarine instead of butter (AHA doesn’t know that margarine inflames arteries) and Egg Beaters instead of real eggs (pasture-raised eggs are one of the most nutritious foods on the planet and eggs are NOT causing heart disease; fake eggs just might). The AHA suggests artificial sweeteners are a good choice because they believe that calories are more important than the quality of the food, in this case chemical artificial sweeteners. The AHA recommends unnatural substances that have been shown to damage the brain, interfere with digestion, cause diabetes and heart disease. The AHA likes NutraSweet® and Equal®, Acesulfame-K (Sweet One®), Neotame, Sweet’N Low®, and Splenda®. Read the science about artificial sweeteners. Check PubMed.gov and search your favorite artificial sweetener. Aspartame has 1295 published articles. The evidence is clear that aspartame and other artificial sweeteners are causing or contributing to increased hunger, sweet cravings, weight gain, cancer, brain damage, mental disorders, memory impairment, headache, insomnia, digestive disorders and more. 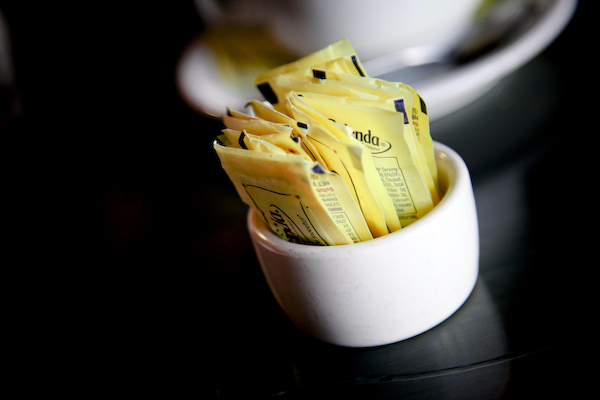 Artificial sweeteners damage health and actually cause people to eat more and crave sweets. Cut the carbs! This is a better way to prevent cardiovascular disease than cutting saturated fat. Eat traditional fats, not odd low-fat junk made in a factory. Traditional fats have been consumed for thousands of years – when we experienced health and normal weight. 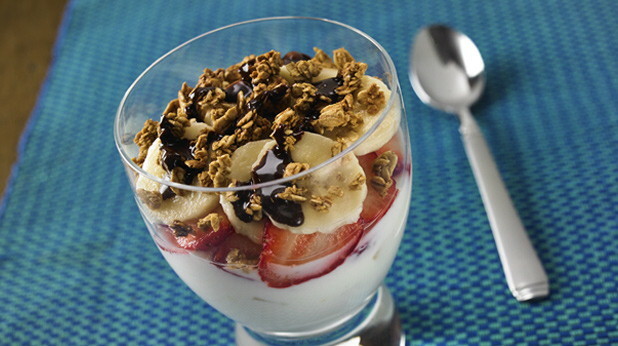 Instead of a sugary yogurt parfait with granola, make a nourishing dessert that will not bring in too many carbs. with all real food ingredients. Make your own whipped cream using coconut milk, HERE! Eat fish and pasture-raised meat, chicken and eggs. Eat traditional fats (not industrially processed vegetable and seed oils). 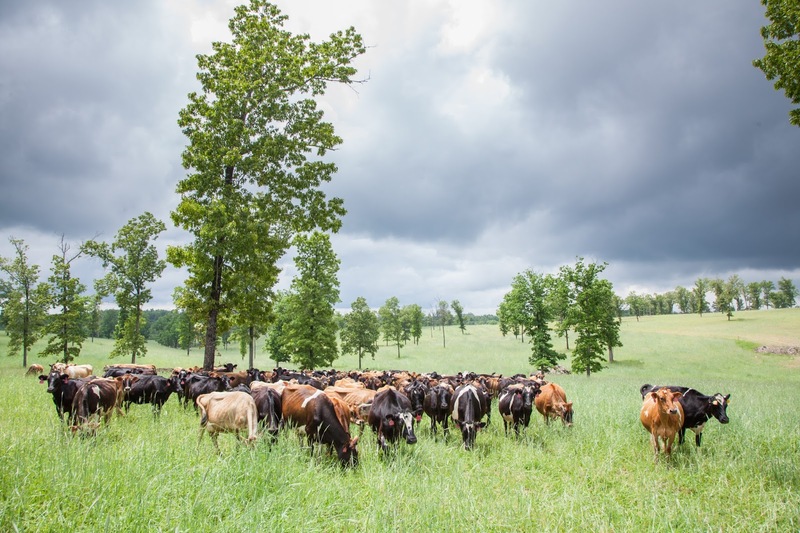 Pasture-raised animal foods have omega-3 fatty acids. These fats are essential – we must eat them to be healthy – yet, most people are deficient in this nutrient. Avoid conventionally raised beef – most grocery store meat. That junky meat from most grocery stores is from conventionally raised animals that have been fed grains, candy in the wrapper and even chicken feathers. Even grocery store “organic” meat was probably fed organic grains. This meat does not have the same brain-building fats found in exclusively pasture-fed animals or wild game. Eat real food, as close to the way it was created as possible. Meat, fish, chicken, eggs, vegetables, nuts, seeds, fruit, natural fats from butter, olive oil, coconut oil, macadamia nut oil, avocado oil and red palm oil. Find a farmer raising animals the right way – chickens running around outside and cattle on pasture, not eating genetically modified corn and soybeans or candy, stale pizza dough and potato chips!